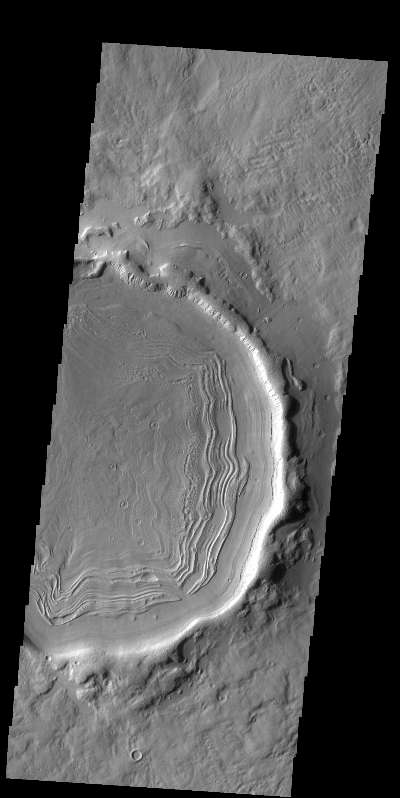 This unnamed crater in this VIS image is located on the margin between Terra Sabaea and Utopia Planitia and is filled with material with a grooved surface. The grooves parallel the crater rim and may indicate that the material is flowing away from the rim. The flow is probably supported by volitiles (like ice) within the fill material.